The village of Solva is an ideal location for walking, sailing or simply relaxing amongst the shops, galleries and restaurants set in beautiful scenery. 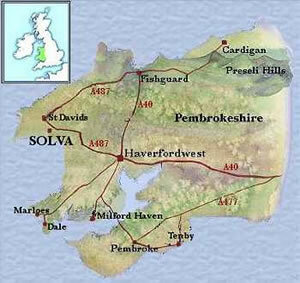 Solva is found on the main A487 Haverfordwest to St. Davids road. 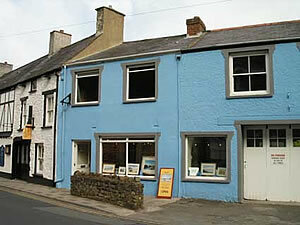 The gallery is the first shop on the right from the free car park, opposite 'Window on Wales'. Why not stop by for a visit on your way to St. Davids and follow with the most delicious cream tea at the Old Printing House, which is irresistibly opposite and coincidentally one of Simon's favourite haunts!